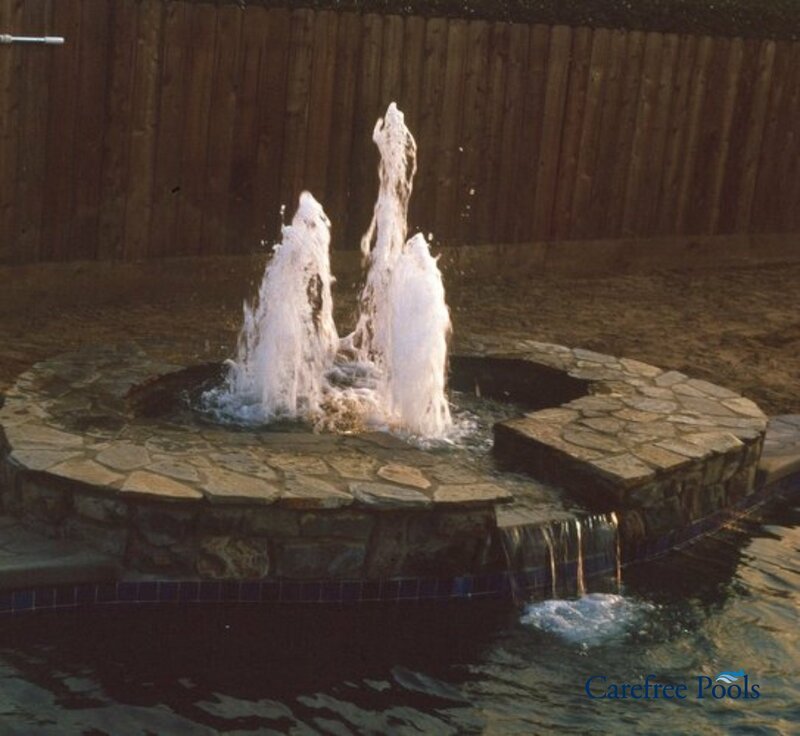 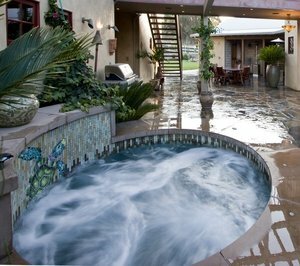 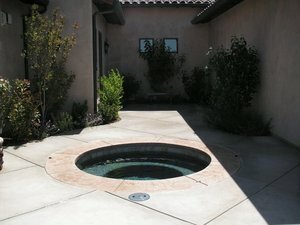 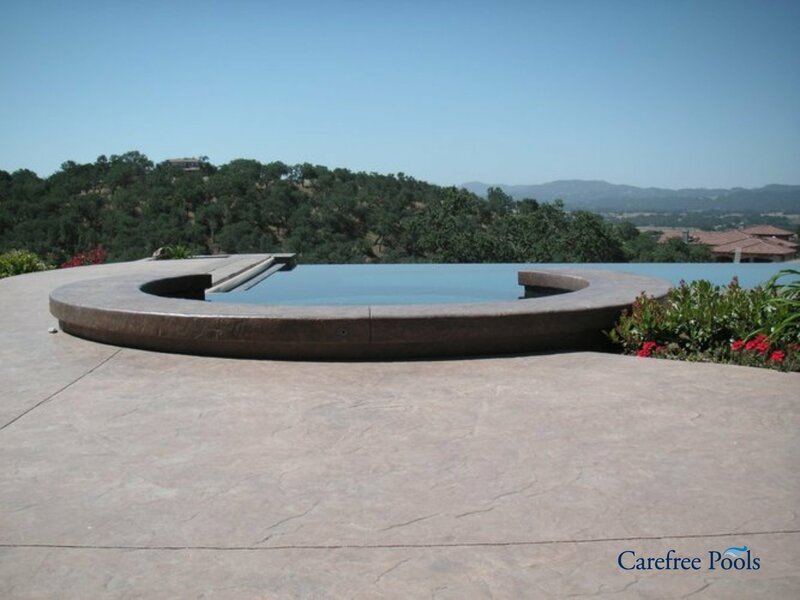 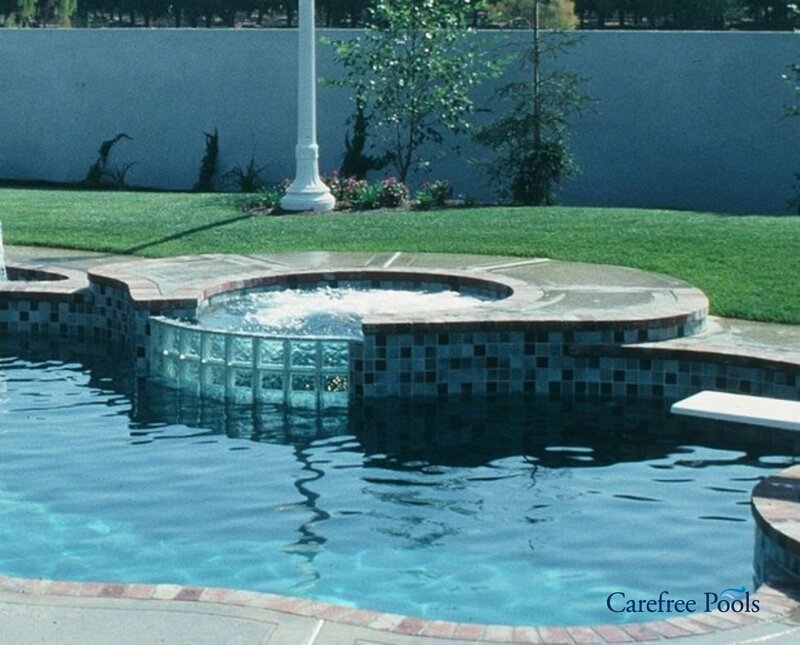 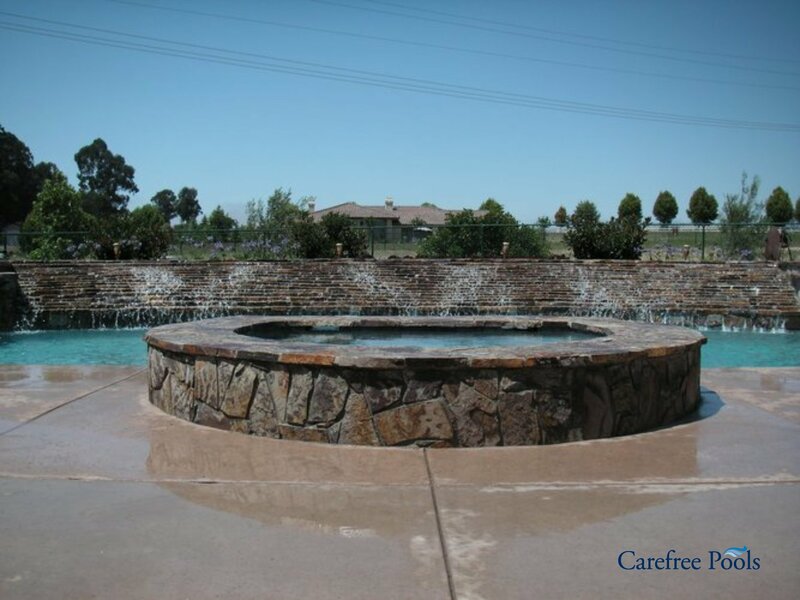 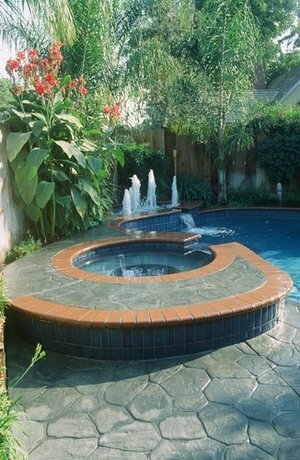 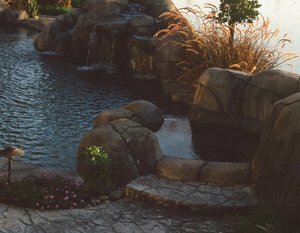 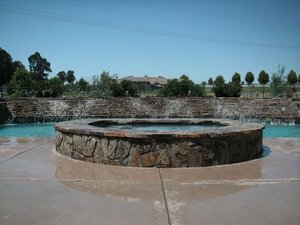 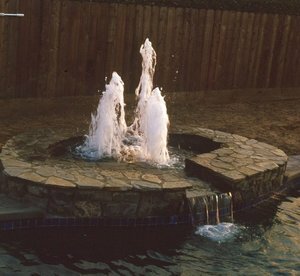 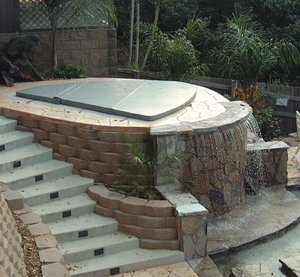 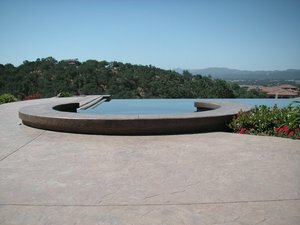 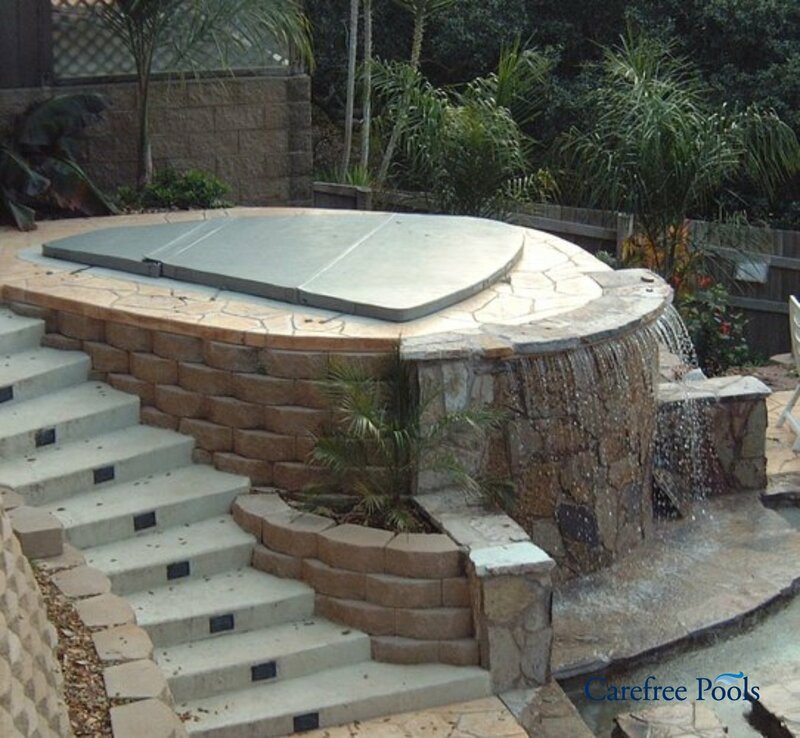 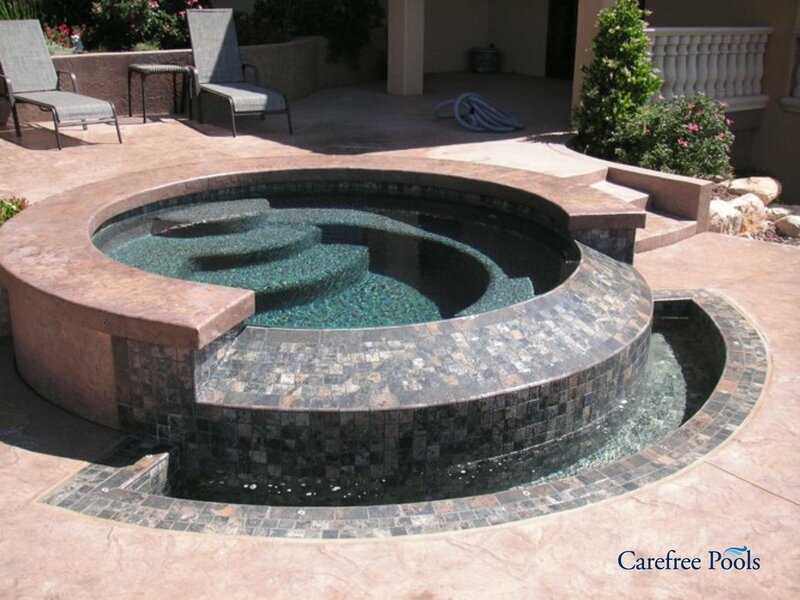 A custom inground spa can bring health, relaxation, family time and romance to your backyard 12 months a year. These can be built in conjunction with a swimming pool, or completely standalone. 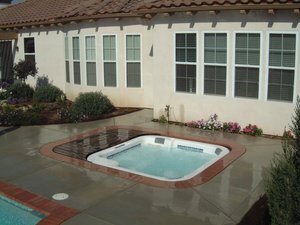 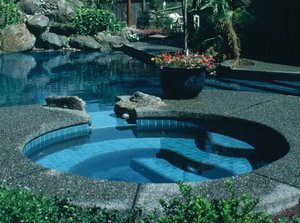 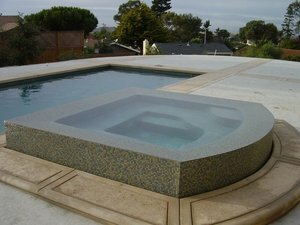 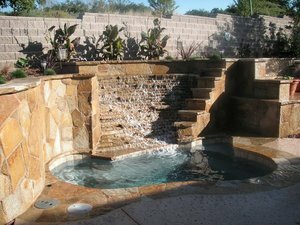 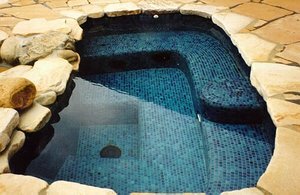 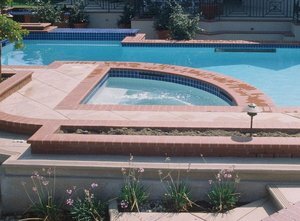 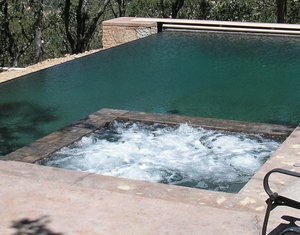 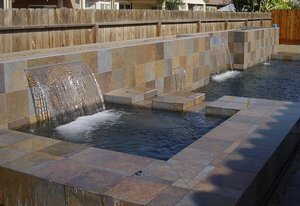 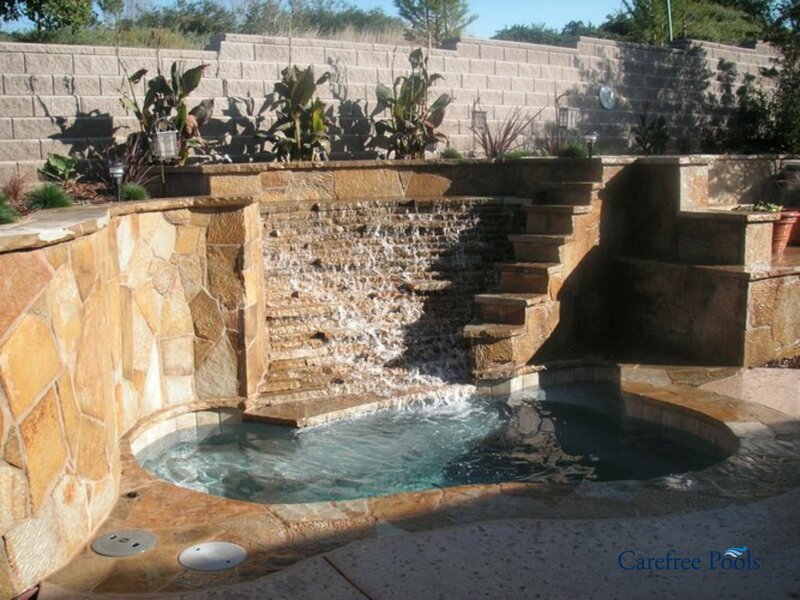 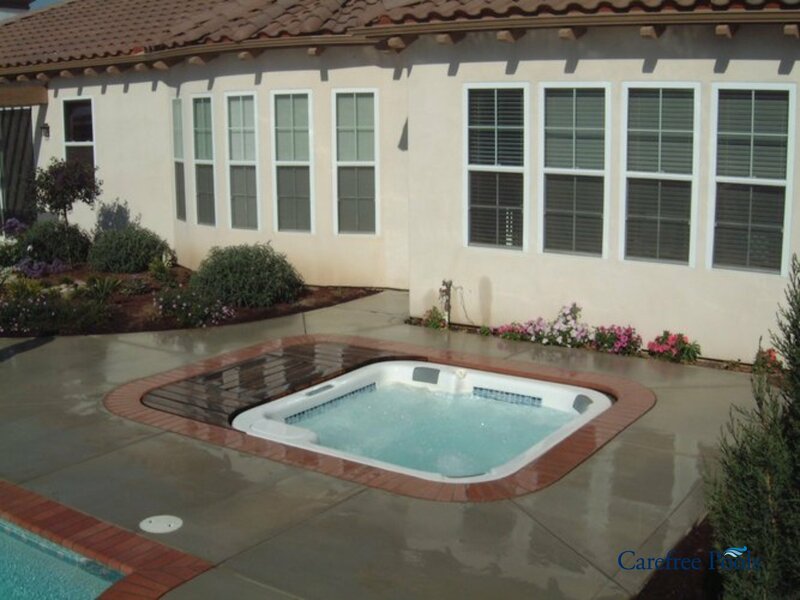 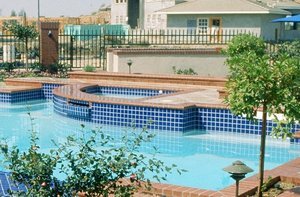 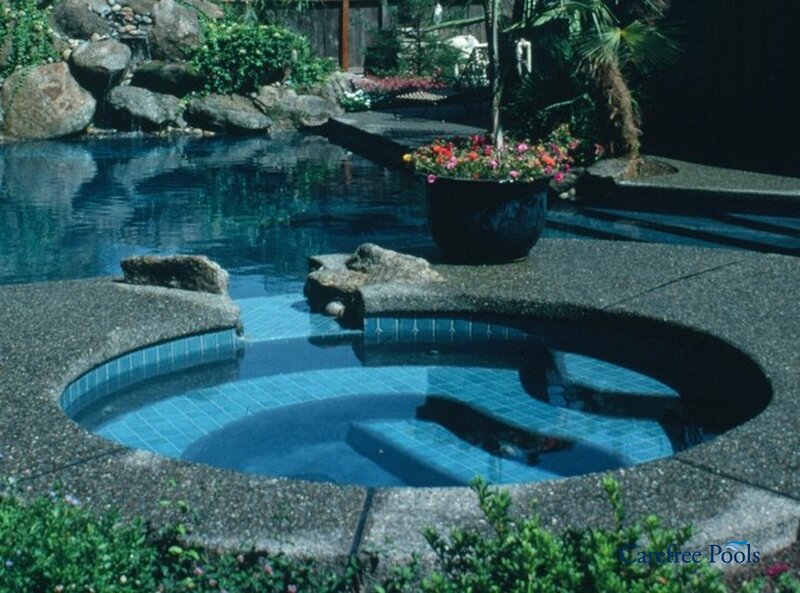 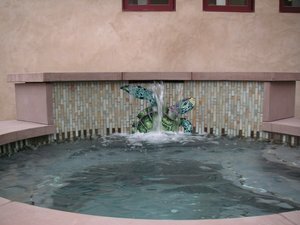 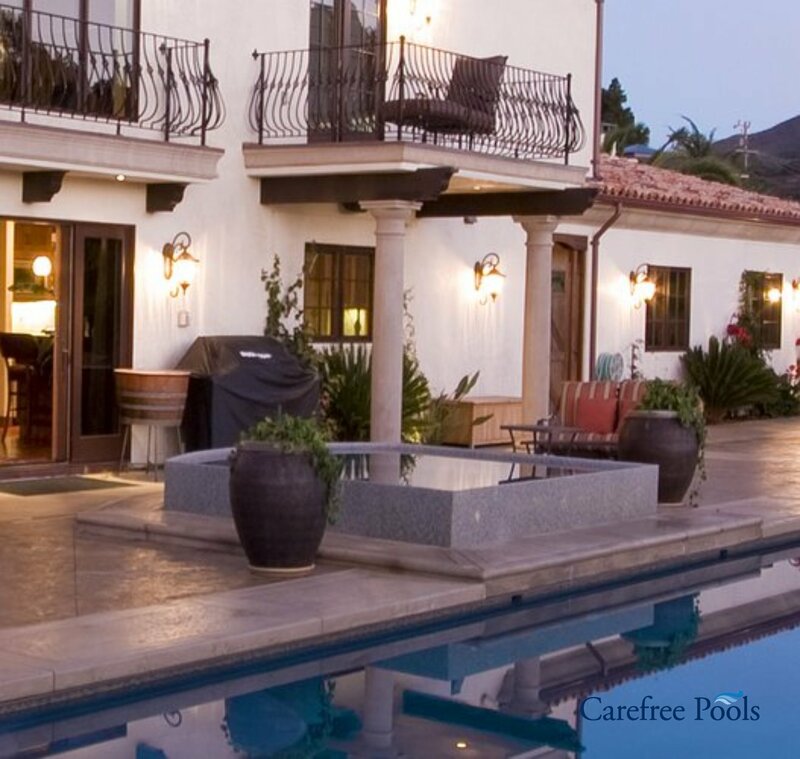 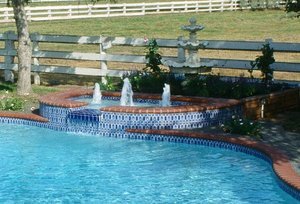 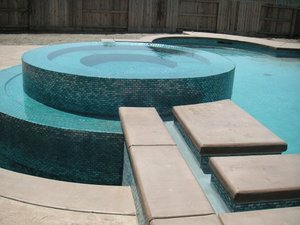 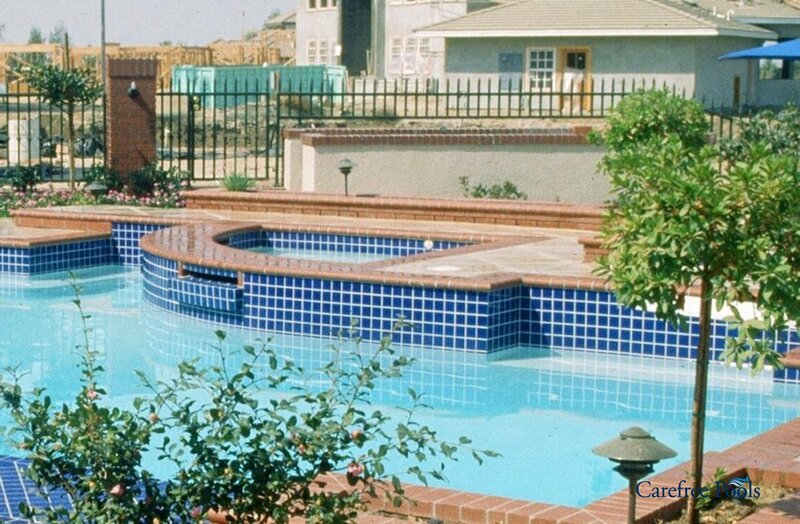 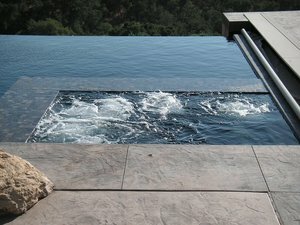 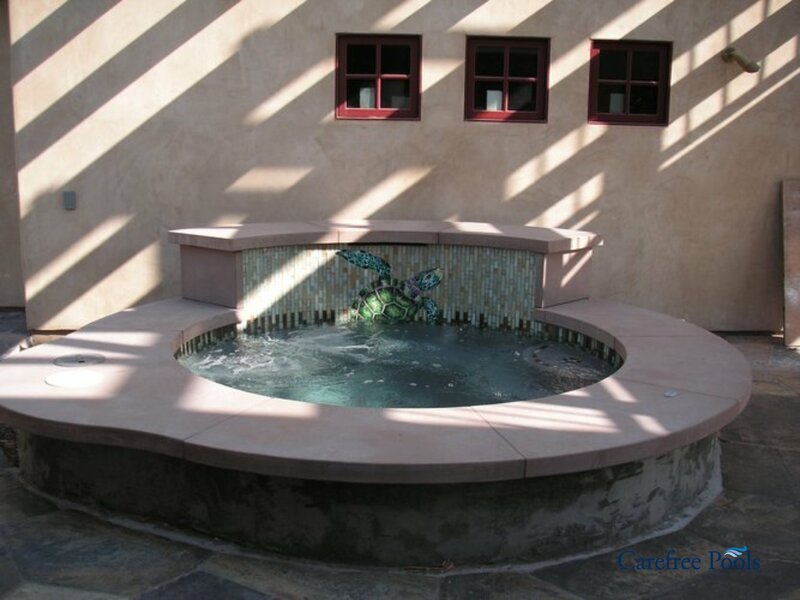 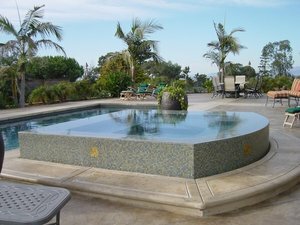 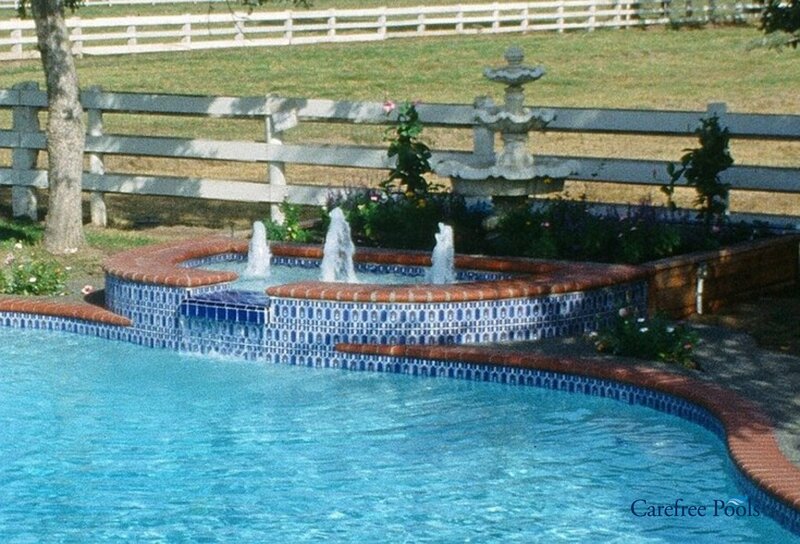 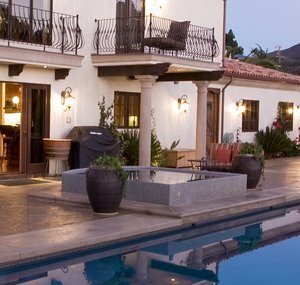 The design options for spas are as varied and limitless as the options for a custom swimming pool. 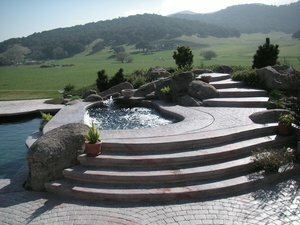 Click on any photo for an expanded view. For an automatic "slide show" of the photos, just click the triangle-shaped "play" button that shows up when you expand the photo.